Champlain and Sanford R.R. 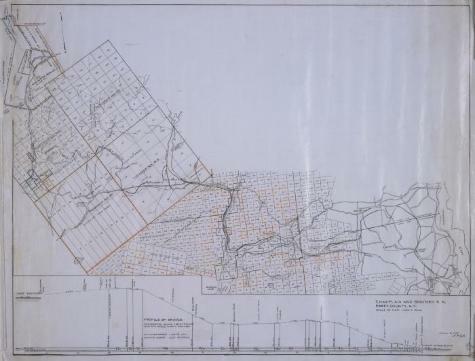 Essex County, N.Y.
Map and profile of the Champlain and Sandford Railroad line through Essex County. Includes notations of State owned land, Finch and Pruyn land and MacIntyre Iron Company land. The scale is one inch equals one mile. Source: Adirondack Museum Library, MacIntyre Iron Works records, MS 65-27, box 2, no. 13.